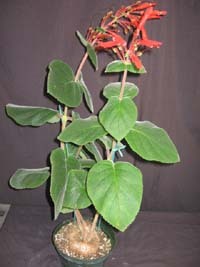 This is a South American Gesneriad (Brazil/Argentina). It is easy to grow and bloom. 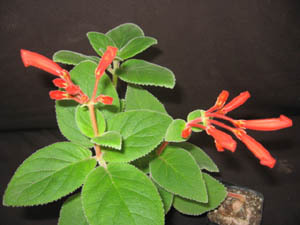 Blooms are a bright orange/red color and you can see them in late winter/spring. 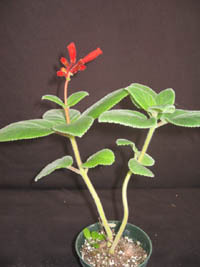 Grow it in bright shade/filtered light and give it average water. 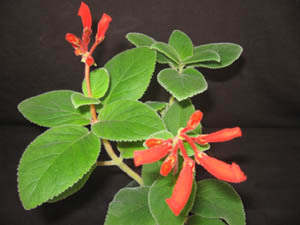 It does go dormant in the winter time (keep in dry when dormant) and you need to avoid freezing temperatures. 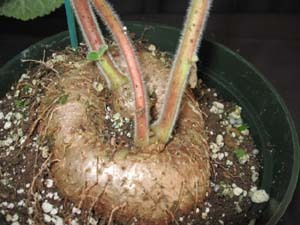 The really nice thing about this plant are the beautiful, large, velvety leaves sprouting from a tuber in the spring. The potting mix has to have very good drainage. Go heavy on perlite.